Across the country, our dozens of local chapters are the backbone of NABJ. They do excellent work on behalf of black journalists. All NABJ members are urged to join a local professional or student chapter, and help to serve. If there isn't a chapter near you, then help start one. Benefits of becoming an affiliate chapter are numerous. Learn about all of the mandates required at the time of application. For starters, there's an affiliate application form -- remember, incomplete applications will not be considered -- and a need for a constitution and/or bylaws. Here are sample bylaws for professional chapters and sample bylaws for student chapters. 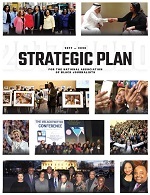 All affiliate professional chapters must satisfy an annual audit that involves submission of more than a dozen forms to the NABJ national office. Review the Affiliate Chapter Audit Checklist intended to help all chapters satisfy this mandate. For starters, there are bonding and financial procedures to ensure against misuse of funds; a request for a chapter officers list to make sure local President and Vice President (s) must be FULL members and the remaining officers MUST be NABJ members, and a verification form checking to see that chapters, among other things, are holding regular meetings and communicating with their members. Reminder: Each student chapter must complete an audit to verify, among other things, that it holds regular meetings and has an advisor who is a full member of NABJ or a full-time professor who is an associate member of NABJ. The deadline is November 1. Be advised, the audit checklist, chapter officers list and verification form for student chapters differ from those required for professional chapters. NOTE: Professional and student chapters failing to satisfy audit requirements will be decertified and will have to reapply for affiliation. The Council of Presidents is a standing NABJ committee comprised of chapter presidents. The Council fosters effective chapter management, develops strategies for chapters to recruit and retain members as well as raising funds for scholarships and other award programs. 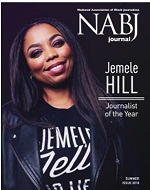 It also aggressively recruits members to NABJ and works to reach a consensus and make recommendations on how issues and concerns can be addressed and resolved within NABJ. The Council communicates with its members, other NABJ leaders and otherwise shares chapter-related news primarily via a dedicated listserve. To join the listserve, contact Council Chair Sarah Glover. Click HERE to view the PowerPoint training.